Here you can activate the expert options. Field lengths can be changed in the Schema manager with this setting. 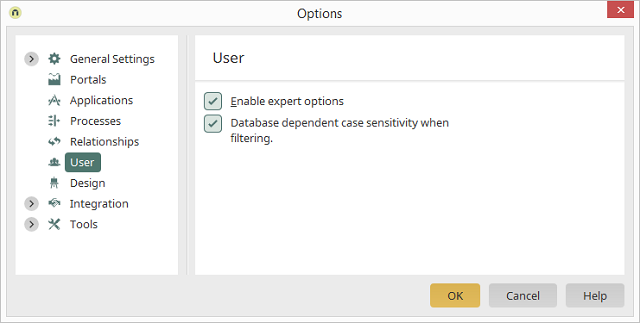 If this setting is active, the database will be case sensitive. When the setting is not active, the filter will function independent of upper or lowercase spelling, meaning that an entry of "a" will create hits that contain a lowercase "a", but also hits with an uppercase "A".